1.1.2 information collected by us as you use the Website. 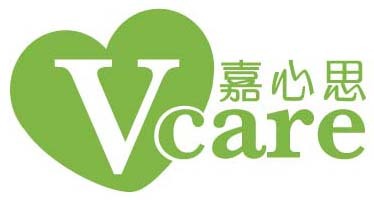 V-Care Asia collects and stores information transmitted by your computer when you use the Website. This may include your IP address, browser data and information we receive from cookies (please see section 5 below). 1.2.7 to help diagnose problems with our server and to administer the Website; (together the “Purposes”). 2.1.2 the sharing of your data with third parties in accordance with section 3 below. 3.1.5 to protect the rights, property, or safety of V-Care Asia or Website users (this includes exchanging information with other companies and organisations for the purposes of fraud protection and credit risk reduction). 4.1 You will only receive marketing communications from us and/or third parties if you have consented to this when you provided your contact details to us (or if you have otherwise submitted your consent to us for these purposes). 5.1 We may collect information about your computer including your IP address, operating system and browser type for system administration and to report aggregated information. This is statistical data about your browsing actions and patterns and does not identify you individually. 6.1 All information you provide to us is stored on our secure servers. Where we have given you (or where you have chosen) a password or other data which enables you to access certain parts of our Website, you are responsible for keeping this password and any other identifier confidential and we strongly recommend that you do not share your password or other identifier with anyone. 6.4 Unfortunately, the transmission of information via the internet is not completely secure. Although we do our best to protect your personal data, we cannot guarantee the security of your data transmitted to our website; any transmission is at your own risk. Once we receive your information, we use strict procedures and security features to try and prevent unauthorised access. Agents or contractors who in the course of providing services to V-Care Asia have access to information which you give to us are required to keep that information secure and confidential and are not permitted to use it for any purpose other than to carry out the services which they are performing for V-Care Asia. We do not disclose identifiable information about individuals to our advertisers or sponsors but we may provide them with aggregate information about our users. We may also use such aggregate information to help advertisers reach the kind of audience they want to target (for example, women in Hong Kong). We may make use of the personal data we have collected from you to enable us to comply with our advertisers’ and sponsors’ wishes by displaying their advertisement to that target audience. [email protected] Any access request may be subject to a fee of $100 in Hong Kong Currency to meet our costs in providing you with details of the information we hold about you. We will endeavour to send you the information (as held by us) within 30 days. You can also request us to correct any factual inaccuracies in that information or delete any of that information from our records.